In the Add Movies screen, on the barcode tab, scan or type in a box-set barcode. The result will show you which movies the box set contains. Click Add to Collection at the bottom right and all contained movies will be added to your database, automatically linked by a box set entry. Alternatively, use the Title tab and enable the new Box Set search (with the checkbox) to find box sets by their title. With your movies added and your box set created, you can see more information will be displayed in on the details page of that movie. 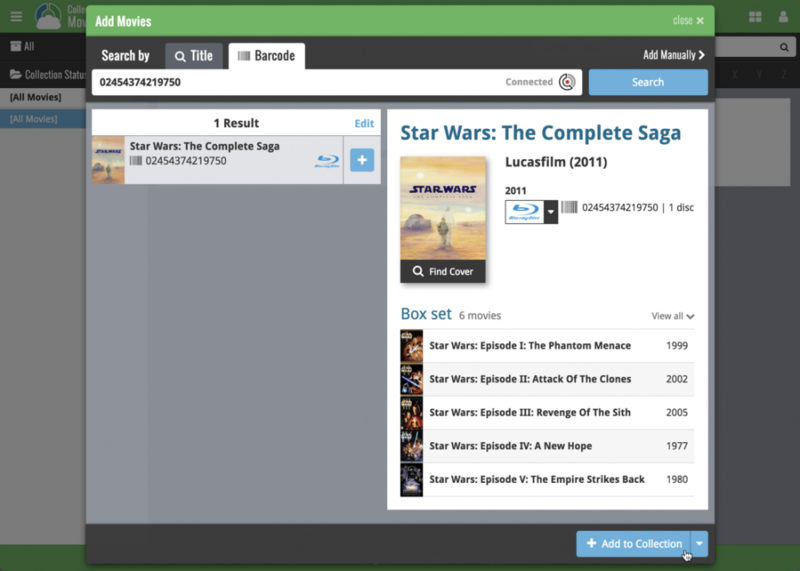 You can also click a different movie from the same box set right there in the template to instantly find it in your database. 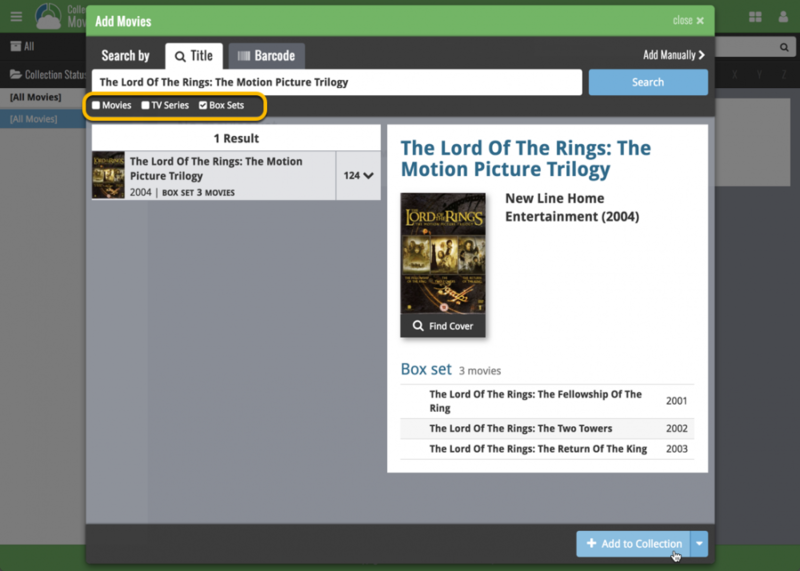 Find the “Box set” field and use the dropdown to select which box set you want to include this movie with. *You can also use these steps to manually create a box set and add movies to it. Find the “Box set” field and clear it.